A big part of my dream for many years is finally realized. My farm’s boarders are now ALL clicker trainers. It is so cool to go out to the barn and hear clicks and see food delivered and horses praised. There is no tension in the barn, no negative thoughts, just happy positive interactions going on. I’m also delighted to have a couple younger boarders who have embraced the work and are doing a fabulous job with it. It has been fun to see the horses learn from each other. One of the boarders asked if I had been playing with their horse (like I have time, with 12 of my own…lol), as he was offering hind leg lifts, but the owner had never taught them. I said “Don’t you know they talk at night?” I wasn’t joking…I’m sure they do! Many people who come out to visit and have a look at the work have commented on the different feel that is here…the calm quiet atmosphere. It makes me so happy to have this little peace of heaven here. Looking back on this year was a great way to see how far clicker training has started to reach the tipping point. I had clinics in BC and two in Ontario! And there are already two booked in each of these provinces for 2017! (If you would like info on these clinics or would like to organize one close to you please contact me. I don’t need huge numbers and the fees are very affordable). The intensive clinic from this year was a blast. Such great fun to have like-minded people, able to spend five whole days, talking and practicing and exploring this work. The ability for people to experience the work with my schoolmaster clicker superstars like U and Snowy show people just how far this work can take you and how much fun you can have doing serious ‘dressage’. I will be having another Intensive in 2017 in July. If you are at all interested, please contact me ASAP, as I only take three people for this special event. It includes your room and board and lessons. Arrangements to bring your own horse can be made. I had my first ever live in working student this year and will be doing it again it worked so well. I know Carolin had a great experience here and was able to take the work back to her horse at home in Germany! I have some great pictures and videos to share from that with you in the New Year. Exciting news coming your way soon re: a new website, logo, and fully laid out levels program that includes video coaching, both live and recorded, and details re: the different clinics offered. I would like to take this time to thank each and every one who has touched or been touched by this work this year and wish them a positive 2017. The people I have met and coached this year have been wonderful and they have taught me a lot. I hope I have helped them as much. 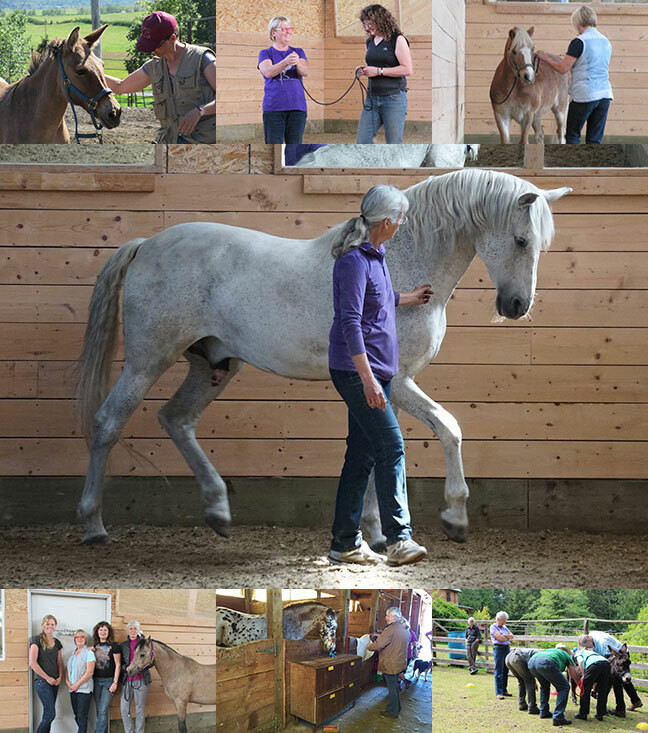 It never ceases to bring a smile to my face and warmth to my heart to see a horse and their human connect and now enjoy the communication that I bring to them through the ‘uncommon language’(a language not native to either species) that I teach with the clicker. I hope you will join me again in 2017. Until then keep it positive.